Some manufacturers make a wide range of models within a particular vehicle class, such as half a dozen different cars, or three or four SUVs. But for the past nearly 20 years, Toyota has focused its efforts on making just two different trucks, and making them as good as possible. 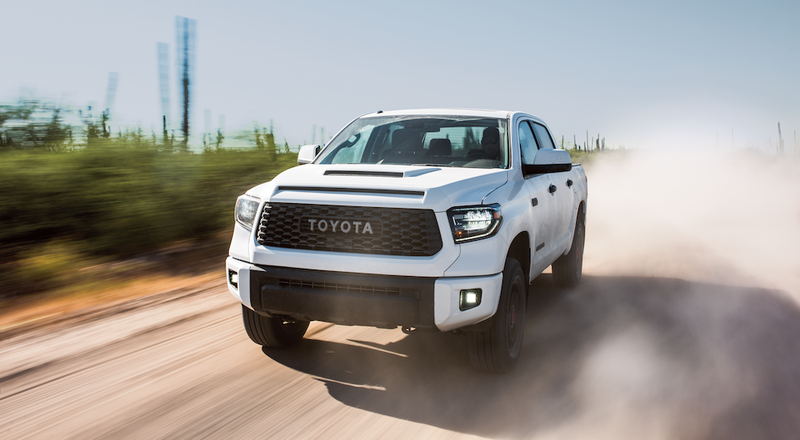 The Tacoma and the Tundra are the two Toyota trucks you are most likely to see on the road, and while Toyota has made changes and improvements over the years, and released different generations of these two models, the spirit behind them has often remained the same. In order to understand the passion that fans of these Toyota trucks have and often show for them, it is best to take a look at where these trucks came from and how they have evolved. We’ll cheat a little bit at first by looking at the predecessor to the modern Tundra, the Toyota T100, and also have a look at what’s in store with the 2019 Toyota trucks that are making a splash right now. And if you learn a thing or two along the way, just remember you can always use your new-found knowledge to impress your friends! Toyota’s first forays into the typically domestic-ruled market of trucks in America came with the introductions of the Toyota Hilux, or Pickup, and the T100. These trucks were popular with many drivers, but there were also some complaints that greatly influenced the design and options that would be seen in Toyota trucks in the future. The T100 had a traditional full-size bed length of 8 feet, but otherwise it felt more like a compact pickup, which some drivers were critical of. In some ways, the various generations and models of the Hilux throughout the 1960s, 70s, and 80s can be seen as a prototype for what would become the Tacoma. Over those decades Toyota extended the bed and offered larger sizes and more options in North America, gauging and evaluating driver reactions to these changes. All of this iteration informed them in their design of the two Toyota trucks that would come to dominate the market. Perhaps the biggest flaw of the Toyota T100, in terms of making a real impact on the American market, was the lack of a V8 engine. It was not even an option, and many truck drivers see a V8, or at least the choice of a V8, as the hallmark of a true pickup truck. The T100 was also only available as a regular cab initially, and though Toyota later introduced an extended cab option, the T100 was already on its way out. 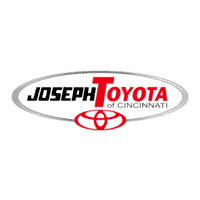 As a company, however, Toyota is known for ingenuity and learning from mistakes or any shortsightedness that it may have when introducing a new vehicle. The complaints and criticisms of the T100 were used to guide the development of future Toyota trucks and create the market that is seen today. For successful companies, criticism is often seen as a chance to improve and Toyota certainly took any issues customers had with the T100 to heart. All of this input went into the development of what has become one of the most popular and best-selling trucks in America: the Toyota Tacoma. First introduced in 1995, the Tacoma was Toyota’s answer to the criticisms and shortcomings that some people saw in the T100, based on success with variations in the Hilux. The Tacoma was introduced as an answer for people looking for a compact or mid-size model, meant more as a personal vehicle than for extensive commercial use. There were multiple engines available as well as both 2-wheel and 4-wheel drive, so customers could find what they were looking for. The second generation of the Tacoma was introduced in 2004, designed to be larger and more powerful than the first generation. There were 18 different configurations, including options for cab configuration, engines, and bed length, which ensured that Toyota trucks offered a solution for just about any driver. The second generation had excellent towing and cargo capacity limits, creating a vehicle that worked well for people’s home life and work needs. Toyota began the current generation of the Tacoma in 2015 with a complete overhaul that introduced a more “masculine” look. 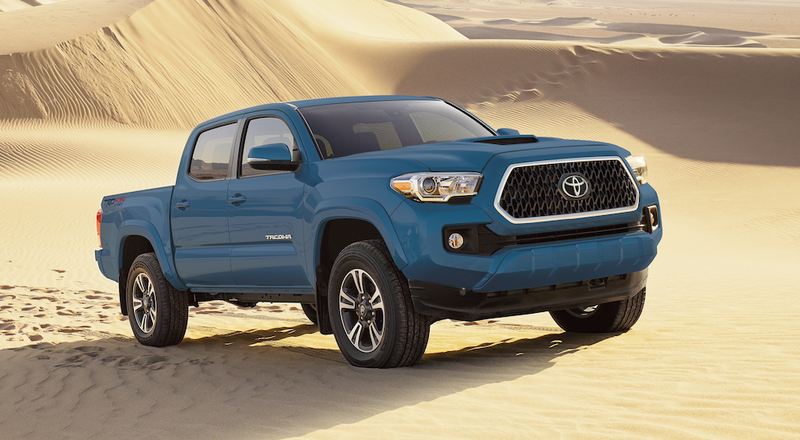 The overall shape of the Tacoma was designed to create a very striking impression. While fewer options are available in the third generation than in the initial run of second-generation models, Toyota has focused on providing customers with the options they have most often asked for and making sure those are as impressive as possible. While the Tacoma is Toyota’s response to drivers who want a mid-size truck, the Tundra is for lovers of full-size pickups who are interested in Toyota trucks. First introduced in 1999 for model year 2000, the Tundra picks up where the T100 left off, with plenty of options for drivers who need size and power in their truck. Even though Toyota is a Japanese company, the Tundra is the only full-size truck manufactured in Texas, at a factory in San Antonio. The initial generation of Tundras was fairly similar to the previous T100s and the Tacomas available at that time. It shared a V6 engine, though there was an option for a V8, and though it was larger than the T100, there was still a perception that it was too small for a full-size truck. Despite the initial concerns, the Tundra had a very successful launch and became quite popular in the US. Once again, Toyota learned from feedback and criticism and began designing a second generation that was introduced in 2007. At last, critics of size and power were answered with a truck that included a 5.7L V8 engine and impressive towing capacity. The Double Cab option ensured that any drivers who felt the Tundra had been too small in the past would put away those doubts once and for all. The Tundra is Toyota’s response for drivers who want a truck that is built primarily for work, especially construction. The introduction of features like an integrated tow hitch, headroom and rests that can support someone in a hardhat, and a full-size bed all come together to make for a perfect work vehicle. With the Tacoma and the Tundra, Toyota offers something for everyone. The 2019 Toyota Tacoma continues to provide excellent power and performance for anyone interested in a mid-size truck. It has an available V6 engine with 6-speed transmission for up to 6800 lbs. of towing capacity and is designed for use both on and off roads. Plus it is decked out with a full suite of technological and safety features including active road sensing while driving, a center command console with display, and plenty of media playing and navigation features. When it comes to full-size Toyota trucks, the Tundra continues to set the bar high for all other models on the market. The available 5.7L V8 engine can handle incredible loads, with a maximum towing capacity of up to 10,200 lbs. when properly configured. Interior comfort is not sacrificed in the name of power and performance, however, and there are multiple layouts with different available options, including the Platinum edition with black leather-trimmed seats. The central console includes a full-color screen that relays information about driving conditions, navigation, and even entertainment.